Make a commitment. A proposal signals a serious commitment to your partner.... and so does an engagement ring. So, choose a ring that makes her giddy. 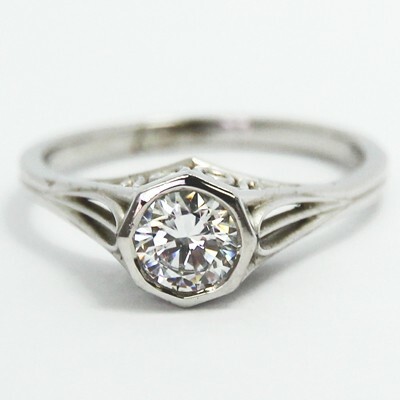 Budget Diamonds Online can help make the selection process a whole lot easier. 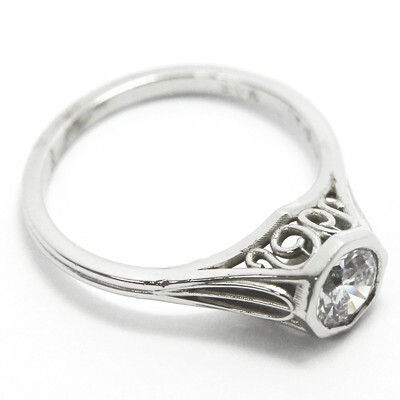 If you are looking for durability, quality, luxury, and style, you can find of all that and more in our Filigree Solitaire Style Engagement Ring 14k White Gold. It is an unforgettable choice. To make it even more unforgettable, why not add on an engraved message? That attention to detail will make the ring you choose mean so much more.